Does it matter what words or names we use to describe things? I would contend that it does. Word meaning is a function of the way society uses them. While we might continue to want to use a word or phrase in a particular way, we don’t get to determine their meaning. Society does that for us and it is our responsibility to conform our usage accordingly if we want to truly communicate. In some cases words or phrases become soiled by the usage of others and we will have to discontinue their use if we want the concepts we’re espousing to remain palatable to our hearers. Words are containers for ideas. To help others understand this concept, I’ve concocted the following parable. I hope you enjoy the story and get the message. Reginald was the steward over The Great House. His father had been the steward before him and his grandfather before his father. The Lord of the house was not only wealthy and wise, but generous as well. Every week, he would invite all of his servants and those from the surrounding villages to a great feast. As chief servant over The Great House, Reginald carried the honor of serving the wine. 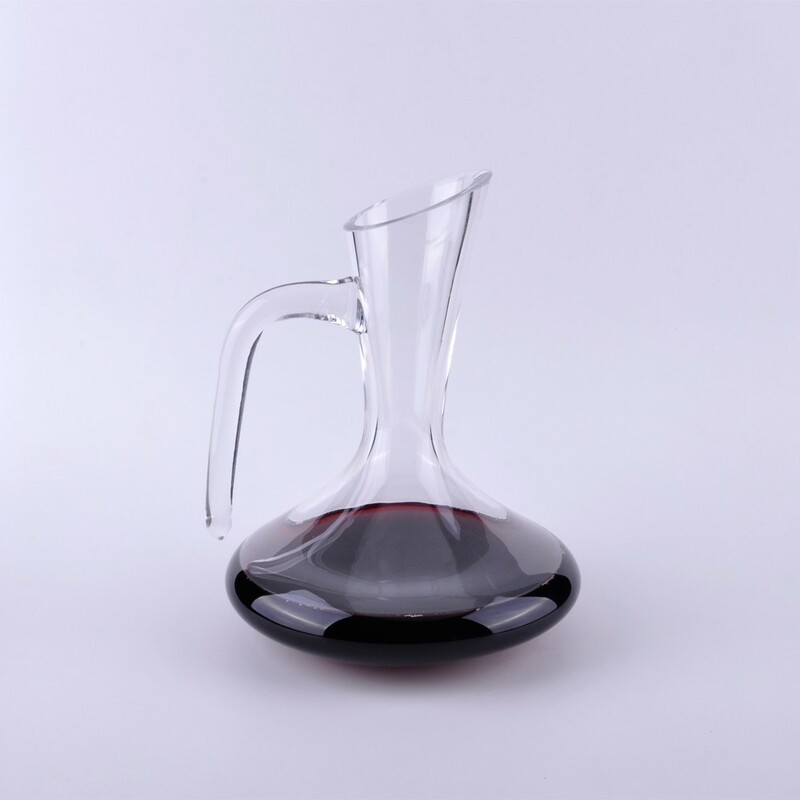 Promptly at 6 o’clock Reginald would go to the kitchen and fetch the decanter from the cupboard and take it down to the family vintage to fill it up. As he descended the stairs, Reginald would walk with almost a processional gate. There was something sacred about this ritual and about the decanter. For three generations his family had gone through this same routine carrying the same vessel. As Reginald entered the great dining hall with the decanter, he almost felt as noble as the host of the great feast. That beautiful container it seemed held more than wine. It held his rich heritage as a servant to the Lord of the house. One week, just before dinner, a great commotion broke out in the kitchen. A new cook had taken on himself to include his own ingredients to the standard soup served before the main course. The chef was livid. He began to hurl anything he could get his hands on at the new cook. Hearing the commotion, Reginald shot into the kitchen just in time to see the chef fling the great decanter at the cook. The cook ducked and the decanter began its decent. Time seemed to stop as Reginald dove for it. He tipped its fat belly just enough to divert its path from the floor to the wall averting total destruction. The stopper flew off and shattered and the handle broke – along with Reginald’s heart. He stood up holding the remainder of the decanter looking down at it. His body quivered partially out of grief and partially from rage. Then he looked slowly up at the chef. Something that sounded partly like a growl and partly like a hiss gushed through Reginald’s bottom lip, “You fool! A man such as you does not deserve to prepare meals for our Lord. From now on you will wash dishes while this new cook will take your place as chef starting now!”The chef’s face blushed, then blanched and then darkened. He said nothing but turned and skulked out of the room. The new cook gingerly slid over to the chef’s station and continued final preparations for the great feast. Reginald, still quivering, cradled the decanter close to his chest as he ambled down the steep stairs to the family vintage. Though, there were other ornate vessels in the household, Reginald entertained no alternative to the sacred decanter. The damage it had sustained did not diminish its worth for him and so just like the week before, he filled it with the best wine the Lord of the house possessed and began his ascent up the stairs. As he trudged upward, his aching heart pulled his shoulders together and his chin downward. The battered decanter would not allow itself to be held forth but now required a closer grip with one hand around the neck and another supporting the bottom. Reginald’s thoughts wandered to his fore-bearers and their illustrious, lifelong careers. Shame and regret joined the grief and anger loitering in his heart. One event. One moment. Decades of glory were tarnished in an instant. How could this be? As Reginald poured the wine, his pain began to subside. The guests marveled and raved over the exquisite vintage. Reginald comforted himself knowing that the real glory of the decanter had remained through the violence it had suffered. Reginald’s thoughts turned from the legacy left him by his father and grandfather to his own descendants. His furrowed brow smoothed and the corners of his mouth lifted as he thought of how they would tell the story of the chef’s tantrum and how the decanter had survived his assault. As the lamps in the great house were being extinguished and the watchman took his seat, Reginald had almost fully recovered from the trauma he had suffered. That night, his sleep was deep and his dreams were sweet. The chef, however, could not sleep. The anger which had flared in him toward the new cook and his culinary presumption had dampened into a seething heat in his bones. That flame burned ever hotter as it fed on the memory of how he’d been disregarded, then violated and finally shamed. Over that steady, relentless heat the chef cooked up his revenge to be served quite cold the following week. Coming into the kitchen late that night while all satisfied souls slept, the chef lit the main lantern and surveyed the filth which the new cook had left for him to relish. And relish it he did. With a giddy spring in his step he gathered two buckets and flew down to the well. He began to whistle a tune as he heated the water and gathered the greasy pots, the bloody knives and the soiled serving wear. When the water was sufficiently warmed, he filled the basin and with great flourish he scrubbed each item to spotless perfection, singing every tavern tune he could recall as he did. When the job was done, the chef took a step back to look at his glorious creation – not the stack of spotless dishes but the basin filled with grimy cess. Never one to let something go to waste, the chef put his concoction to good use. He took the old decanter from its housing and dropped it into the mottled, viscous ooze. Due to its specialized shape it floated for several minutes and then slowly sunk under the surface as the water filled its sacred chamber. At the sight, the chef’s mirth exploded into outright hysteria as a deep laughter erupted from his throat. By morning, the chef had contained himself and fled the scene leaving only the basin filled with sludge and Reginald’s decanter filled with sludge. The angst and catharsis of the previous day had left Reginald depleted enough to make his normal waking time untenable. The maids could not afford such luxury and so they were the first to find the basin of dirty water. Two of them lifted the basin and sloshed it out into the yard to dump it. As they did, the decanter tumbled out onto the lawn. It’s lifeless form lay there spilling its contents onto the surrounding lawn. The maids shrieked as if they’d seen a dead body. The chef, who’d been waiting in his chambers to hear Reginald’s reaction came running to their side. “What has happened?” he asked. “Yes, what will happen to him, indeed?” The chef thought to himself. He had hoped that he would have already known the answer to that question by this time in the morning but perhaps, this series of events might afford an opportunity to inflict such pain on Reginald that he might never recover. After all, his family had served as chief steward for far too long. Perhaps it would be time for a new dynasty in The Great House. “Ladies,” the chef replied. “Why should your small minds attempt to entertain such large questions? The decanter, as you say, cannot be used for the master’s purposes but that does not mean it has no use whatsoever. I will put it to work on other needful duties in this house. As for Reginald, leave him to me.” And with that, he scooped up the pitiful container, tucked it into his overcoat and walked away. The maids, however, failed to follow the chef’s advice and concerned themselves a great deal over the decanter. They told every servant in the house about what they had discovered that morning until the entire house was abuzz with the questions they had originally posed. But since no one wanted to bring the news to Reginald and since the chef had offered to handle it, Reginald remained oblivious. By afternoon, the household servants could no longer stand the suspense over how Reginald would react, so they went to the chef to ask for an update. The servants were shocked. They struggled to believe that such a story could be true. Yet, they also knew that the decanter could no longer fulfill its time-honored purpose so they accepted the chef’s story. After a few days, they also accepted his suggestion. It was very cold outside and the wide mouth and bottom of the decanter did lend themselves splendidly to the other half of humanity’s liquid equation. By the time the week had passed, the vessel had been filled and emptied several times. On the eve of the great feast, the chef took the old decanter out of the broom closet, emptied it, and placed it back into its former place of honor. The words rang in Reginald’s ears, boring their way into his resistant consciousness until their full weight landed with a dull thud on his soul. Reginald became light headed and darkness began to close in toward the center of his vision. With his last shred of awareness, Reginald staggered from the room into the kitchen where he found a stool on which to sit, his head between his legs. While he collect himself, he could hear the guests shuffling out of the room. They had somehow lost their appetites and were each going to their own homes. Under the dull roar, Reginald’s mind raced. How could he recover from this last blow? Thankfully the Lord of the house had been away this evening. And why had he been away? Because he trusted Reginald to serve his great feast. He trusted Reginald because Reginald had always been perfectly faithful as had his father and his grandfather before him. Reginald thought, “And now it falls to me to decide how to proceed. To lose this great vessel would not only be a loss to me and my family but to the legacy and lore of The Great House. I will not allow it to be discarded. Everyone knows how careful and faithful I have always been. I will wash the vessel three times and fill it with the best smelling oils for the next several days. Then I will wash it again. It will be ready to resume its regular duties by next week.” And so, after firing the chef, that is just what Reginald did. Very good parable, or perhaps I should say– allegory. Retention of CofC as identifier is indicative of how the congregation thinks of themselves. Do you think a name change would change that? Whenever I drive by a CofC building I have a similar gut reaction as when I drive by a Kingdom Hall.